Harrisburg Mayor Eric Papenfuse enjoys a particularly good reminder of how city parks bring people together: He has married many couples in a gazebo overlooking the Susquehanna River, in Harrisburg’s popular Riverfront Park. The park also holds fond childhood memories for the mayor, who grew up walking the river with his family and watching holiday fireworks there. 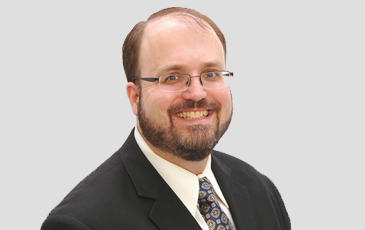 Today, leading a city with a mix of resident families and professionals and thousands of daily commuters who work at Pennsylvania’s capitol complex, Papenfuse promotes public safety, health, and quality of life all at once by supporting parks and green space. In office since 2014, the mayor of Pennsylvania’s capital city unveiled a budget last fall that includes $6.5 million in spending for a variety of projects, including many upgrades for the city’s police and firefighting forces. But also notable in the budget is nearly half a million dollars to make the city’s sidewalks ADA compliant; hundreds of thousands of dollars in site development, including completion of a new playground; and $285,000 in improvements to the 85-acre Reservoir Park, Harrisburg’s largest municipal park (which dates to 1872 and houses the National Civil War Museum). The scenery is beautiful, but upgrades to the roads, paths, and facilities are needed to boost usage of the grounds. Attracting Millennial workers to Harrisburg means awareness of the tradeoffs of urban life: Living in the city usually means smaller homes and yards than in the suburbs, but residents still want green space and outdoor entertainment. Parks provide the best of both worlds for city dwellers. And it’s important for Harrisburg’s many commuters, too. The Harrisburg region hosts plenty of out-of-towners, too, and “having green spaces for tourists to enjoy and to rest during visits is essential,” while trails and historic markers highlight this river city’s history in an accessible way. 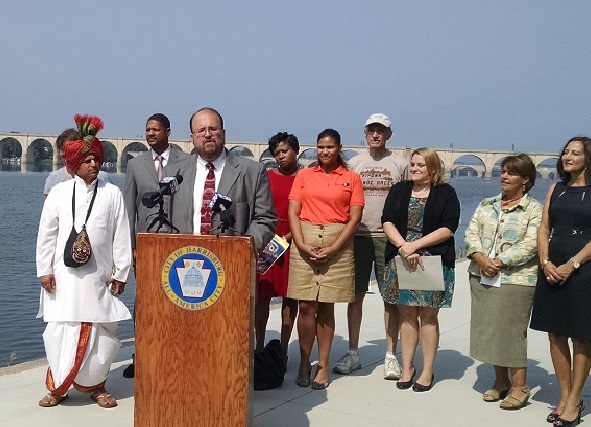 Mayor Papenfuse speaking at a press conference on Riverfront Park. Papenfuse calls places like Reservoir Park and Riverfront Park (which host large-scale cultural events that attract thousands of visitors) “anchors of our community,” but small parks and playgrounds are important too, where neighbors enjoy block parties, picnics, and barbecues that are important community connectors. The more people enjoy the outdoors together and interact with fellow residents, the easier it is to discourage and prevent dangerous or illicit activities.